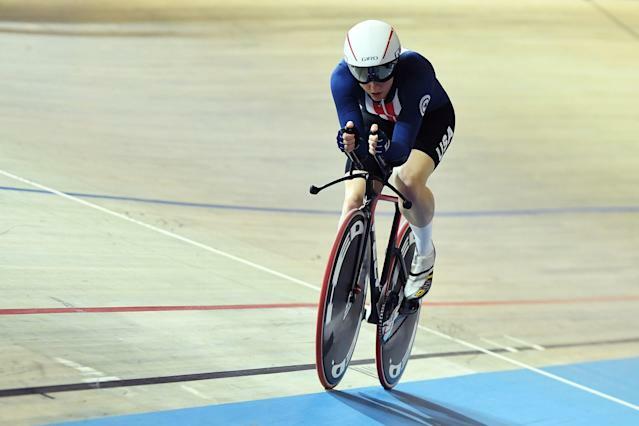 Catlin most recently helped lead the U.S. women’s team pursuit team to a gold medal at the 2018 world championships, her third straight championship in the event. Her father, Mark Catlin, said in a letter to VeloNews that Kelly died by suicide. The Minneapolis-area native also raced on the road for the Rally UHC Pro Cycling Team and was pursuing a graduate degree in computational mathematics at Stanford, according to the Associated Press. “The U.S. cycling community suffered a devastating loss with the passing of Kelly Catlin,” USA cycling president Rob DeMartini said in a statement. “Kelly was more than an athlete to us, and she will always be part of the USA Cycling family. “The entire cycling community is mourning this immense loss. We are offering continuous support to Kelly's teammates, coaches and staff.We also encourage all those who knew Kelly to support each other through the grieving.